Vivian D. Schroth, 99, of Mt. Pulaski, passed away peacefully on April 1, 2019 at Abraham Lincoln Memorial Hospital in Lincoln, IL. Vivian was born on October 26, 1919 in Lincoln, IL the eldest daughter of Russell D. and Edna (Scroggin) Buckles. She married Joseph A. Schroth on August 28, 1940 in Davenport, IA. He preceded her in death on January 10, 2001. 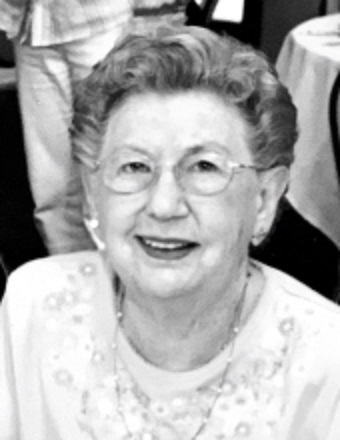 Her life will be lovingly remembered by her son, Dr. Richard (Robin Moore) Schroth of Rockville, MD; granddaughter, Elizabeth Anne Schroth (Theodore Hartman); grandson, Richard Andrew Schroth; and great-grandson, Aiden Robin Hartman. She was preceded her in death by her parents and her brother, Russell D. Buckles. Her younger sister Mary Alice Dittus resides in Indianapolis, Indiana. Vivian was a life long resident of Mt. Pulaski. Descending from two early pioneer families of Logan County, the Buckles and Scroggin’s families, she was an avid historian of the town. During her long life, she became friends with many people in the Mt. Pulaski area and made a true contributor to the foundations of the surrounding community. People will remember Vivian as a caring person with a wonderful sense of humor, who made friends easily and had a strong zest for life. Vivian was a member of St. Thomas Aquinas Catholic Church in Mt. Pulaski and the Mt. Pulaski Historical Society. She retired after serving as an accounting specialist in the Business Office at Lincoln College for over 15 years. Mass will be held for Vivian at 10:00 A.M. on Saturday, April 6, 2019 at St. Thomas Aquinas Catholic Church in Mt. Pulaski. Visitation will take place from 4:00-6:00 P.M. on Friday, April 5, 2019 at Fricke-Calvert-Schrader Funeral Home in Mt. Pulaski. Burial will follow services at Mt. Pulaski Cemetery. Memorials may be made in Vivian’s name to St. Thomas Aquinas Catholic Church in Mt. Pulaski.